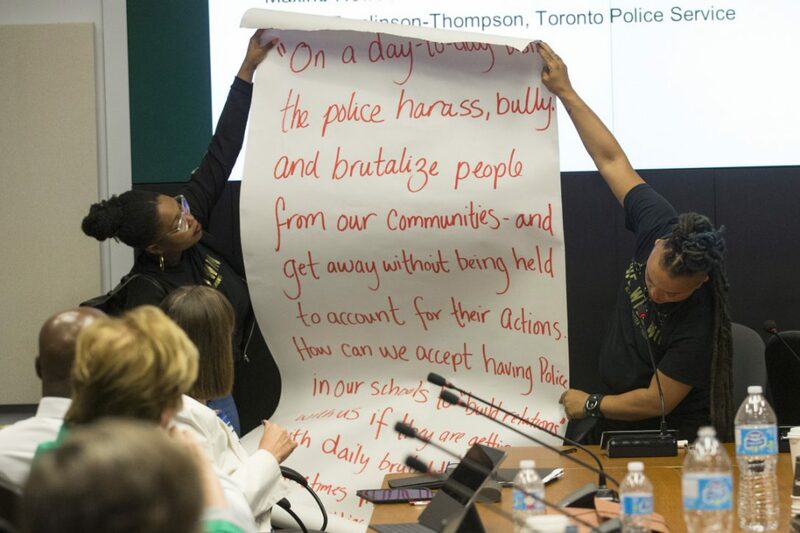 I have been watching and reading about the surprising decision taken this week by the Toronto District School Board to end the School Resource Officer (SRO) program in all Toronto District School Board (TDSB) schools. I call it surprising because as a school administrator for over ten years here in Ottawa, the SRO program has been nothing but positive, especially in our elementary schools where the SRO was a truly positive presence in the schools I worked in. I realize that the situation in Toronto is different than that in Ottawa and that the program needed to be reviewed. The article in the Toronto Star notes that a full-year review by Ryerson University was taking place and that SROs had been pulled from schools for the first three months of this year while the review took place. I would imagine that there is no need for the review to continue as the TDSB Chair noted in an interview that the program will not be returning to schools (see 2:40 of the interview). It is hard to understand how decisions like this get made. As a vice-principal in a very busy intermediate (Gr. 7-8) school and as a principal in two elementary schools, the SRO was always a key ingredient in our school safety plans. They helped us with our lock-down drills, talked to students in assemblies and in the classroom and even took in recess duty – the kids really loved this. There is no question that the SRO always did a good job of making the police more visible and more a part of the community for our students. In cases where the school population was mainly made up of students new to Canada, the SRO may have been the first friendly police officer these children would have encountered. I have written and spoken about this before. For our schools to really do a better job we need to build positive partnerships within the community. Whenever you cut out a partner without first trying to repair a long-standing relationship you are making a mistake. Last week there was a national debate on violence in the schools. I am not sure how we are making schools safer by taking out the schools’ most significant partner invested in keeping our schools safe. To me, this seems like a step backwards. While the majority of students said they had no problem with SROs in the schools and while a significant review was taking place, staff, then trustees decided to end a significant community partnership. While 57 per cent said having police in school made them feel safer, 46 per cent said they weren’t sure they wanted the program to continue. But 1,715 (11 per cent) said the presence of an officer intimidated them and 2,207 — or 14 per cent — said they felt watched and targeted as a result. There are certainly problems in Toronto between the police and some local communities. The rhetoric can get heated (note the photo taken from the Toronto Star), but we don’t solve problems by building taller silos. I hope this is an issue that gets further discussion in the near future. It would be so instructive to hear what teachers and administrators think about this issue. Their opinions should matter on such an important topic.